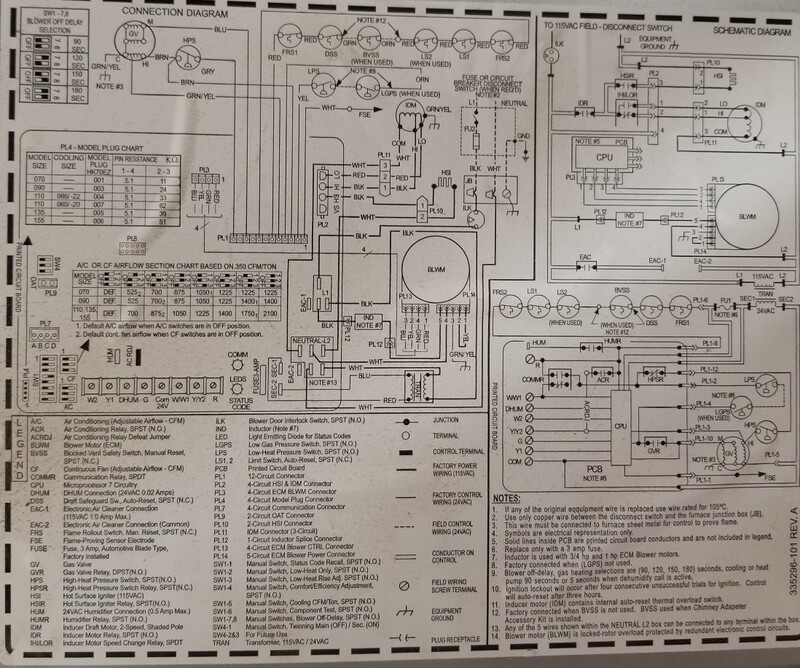 I'd previously asked if I could swap my wires from the 4 wire communicator to the larger board and was told I could. I finally found time to do it. However, as I was preparing to move the wires, I found there are 2 wires per post. A post has 2 green wires, B has 2 yellow, C has 2 white, and D has 2 red. I followed the wires and they go under my floor and I assume over to my pump that is outside. The other set of wires runs to the thermostat. 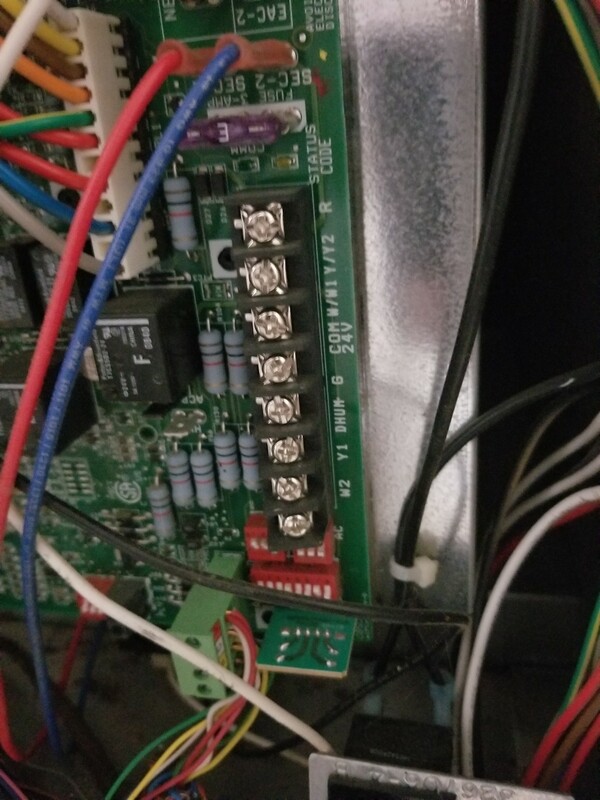 If I'm swapping these wires to the main board do I move both wires or do I leave the ones that go to the pump and just move the thermostat wires? Hopefully all that makes sense. 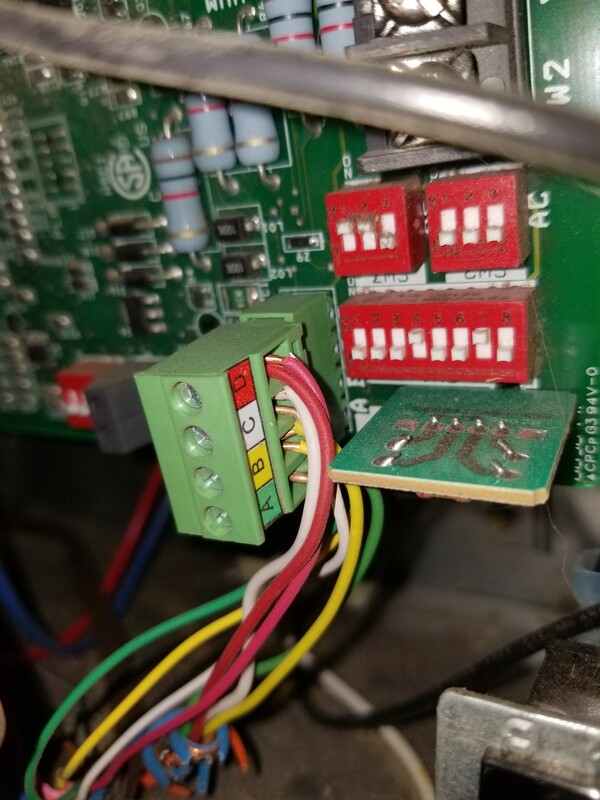 Your system, instead of running Y, O/B, and C wires to the outdoor unit to control it, simply puts the compressor controller on the same ABCD bus that is used to connect the indoor unit to the matching (communicating) thermostat. As a result, when you remove the thermostat wires from the ABCD bus, you need to leave the wires to the heatpump in place, so that the indoor and outdoor units can talk to each other. Is it a problem that I have two of each color wires on my Honeywell thermostat?